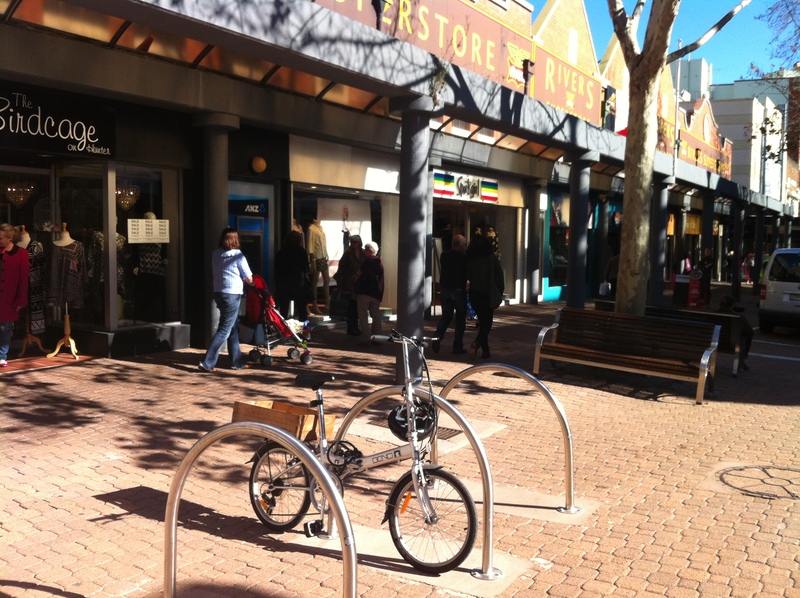 Hunter Street Mall is perhaps the best example of place making in Newcastle. It has evolved organically over decades via a curious mixture of circumstances. A bit of a recap: the Mall was created from a few blocks of eastern Hunter Street in the 1970s when cars were totally excluded from it. The famous earthquake in 1989 hastened the economic demise of the Mall which had already begun due to the growth of suburban centres. As the centre of Newcastle needed to be revitalised, a few years ago cars were reintroduced, but at a greatly reduced level: one way only and with a speed limit of 5kph. There are very limited parking spots in the Mall, making it very safe for pedestrians and cyclists, unlike the rest of Hunter Street, which is a hellhole for cyclists at the moment. 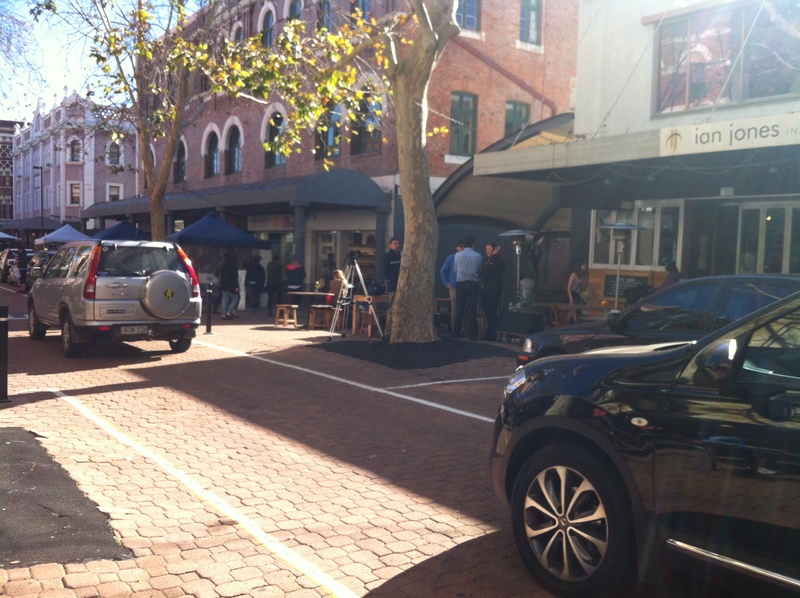 The redevelopment of the area that was planned by GPT in 2008 did not go ahead and in its place Renew Newcastle have brought about a very different sort of development, which has lent itself to the growth of coffee shops and eateries. Its location close to the train station and convenient and free bus services has meant that it has become a hub which is easily reached without the use of a car. The nearby beaches are an added attraction. Within the mall, there is lots of outdoor seating, outdoor cafés, trees and various other infrastructure making it very pedestrian friendly. Growth of housing nearby, in the place of institutions such as the hospital and warehouses, has meant that there is a larger population living nearby, able to walk to the mall. If you are into bikewatching, the Mall is the place to go in Newcastle. 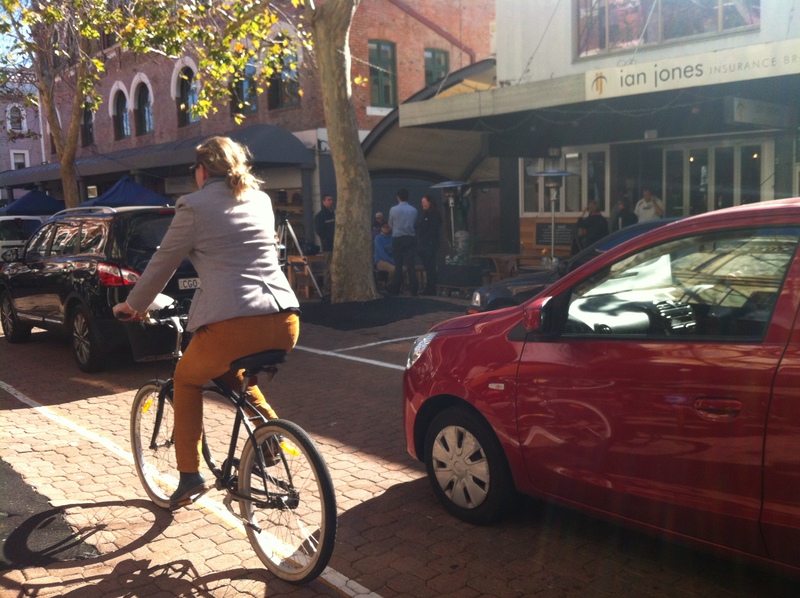 This entry was posted in Uncategorized and tagged Hunter Street Mall, newcastle, placemaking, street cyclist, women on bikes. Bookmark the permalink. I agree with your rankings so far Vicki, and it would be interesting to compare these places with the almost totally car free areas such as the Hannell St wharf and the Honeysuckle Foreshore. The way the Mall restricts the cars to human pace, and the lack of parking for cars in front of the cafes makes it a good ‘people-friendly’ compromise, (at least once you get there). Glad you agree with me on this Peter. I am going to cover Throsby creek as well, which works in some ways but not others I think.